If you are looking for a book to help you get your Joomla website high in the Google rankings, check out my Ebook Joomla! 3 SEO & Performance. 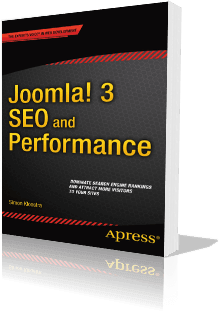 Attracting many visitors on a fast-loading Joomla website is the main goal we are trying to achieve in this book. Read this review on Amazon.com. You can check some preview samples from the book on Springer.com. Joomla! 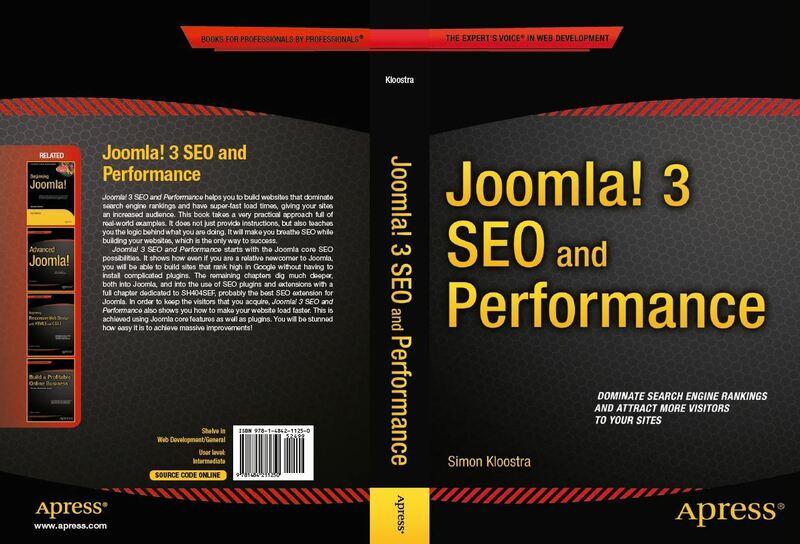 3 SEO and Performance is a concise, 188-page book that helps you to build websites that dominate search engine rankings and have super-fast load times, giving your sites an increased audience. The book takes a very practical approach full of real-world examples. It does not just provide instructions, but also teaches you the logic behind what you are doing. It will make you breathe SEO while building your websites, which is the only way to success. I find the book well-conceived and well-written, with a good balance between giving the conceptual framework on the one hand and practical implementation on the other. (Far too many computer-orientated books take a simplistic click-here, click-there approach without providing any conceptual framework.) 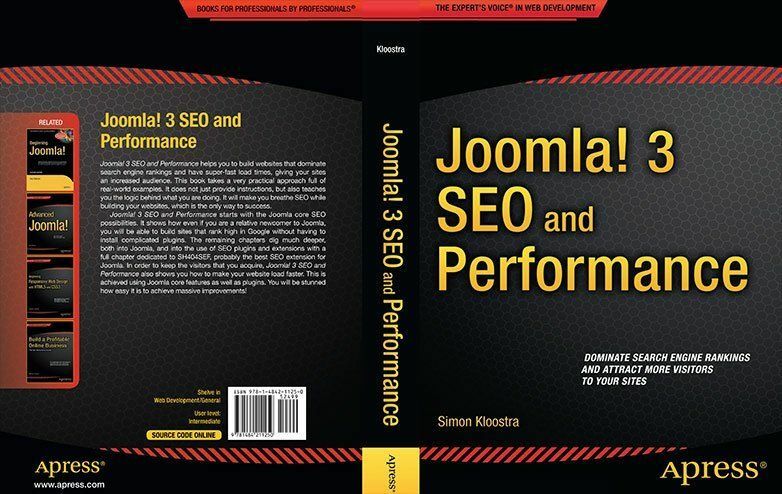 The book is Joomla-oriented, so that a person who wants to do SEO in Joomla will come away with a comprehensive toolkit that can be applied to real-life websites. I like the way that you deal with some of the SEO extensions that are available. For someone who hasn't used them much, it's not so easy to know which will really be helpful. Overall, congratulations and thank you for a very helpful contribution to this subject. ..... I am a newbie with Joomla and as I buy extensions, such as MijoSEF I keep running into this same issue. The documentation is excellent, but in a descriptive kind of way. In other words they provide you with a beautiful automobile but hey dont teach you how to drive it, forget about a road map. Your article not only shows me how to drive that beautiful automobile but also the best possible way to get there. This book is a list of the most essential things a web designer must do in order to achieve the requirements of search engines and finally, a good ranking. I write this review as a SEO beginner, not as expert. In the process of reading I highlighted most of the titles and key phrases in the book that represent the elements of a list that is good enough for a beginner to start their web site optimization. The book contains many useful links and extension recommendations for Joomla that helped me to deeply reconsider all my work flow as a web designer. Consider this book as a starting reference that can be extended with the recommendations of other authors as well. When the subject is SEO I'm just a beginner and this book really helped me a lot. It covers all Joomla SEO core possibilities and many essential extensions. The Performance part of the book It's also excellent. After applying some guidelines on a client website the loading time became twice faster and the Google rankings start to improve. Click here to read all these reviews on Amazon (verified purchases). The book is published by Apress.com, an established publisher of IT-related books. Apress is a member of the Springer group, known for their scientific books. Other Joomla title's they feature are Dan Rahmel's Beginning Joomla and Advanced Joomla. 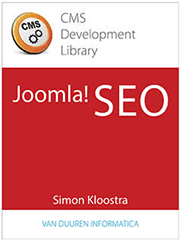 This book has also been published in Dutch as CMS Development Library: Joomla! SEO with van Duuren Informatica.